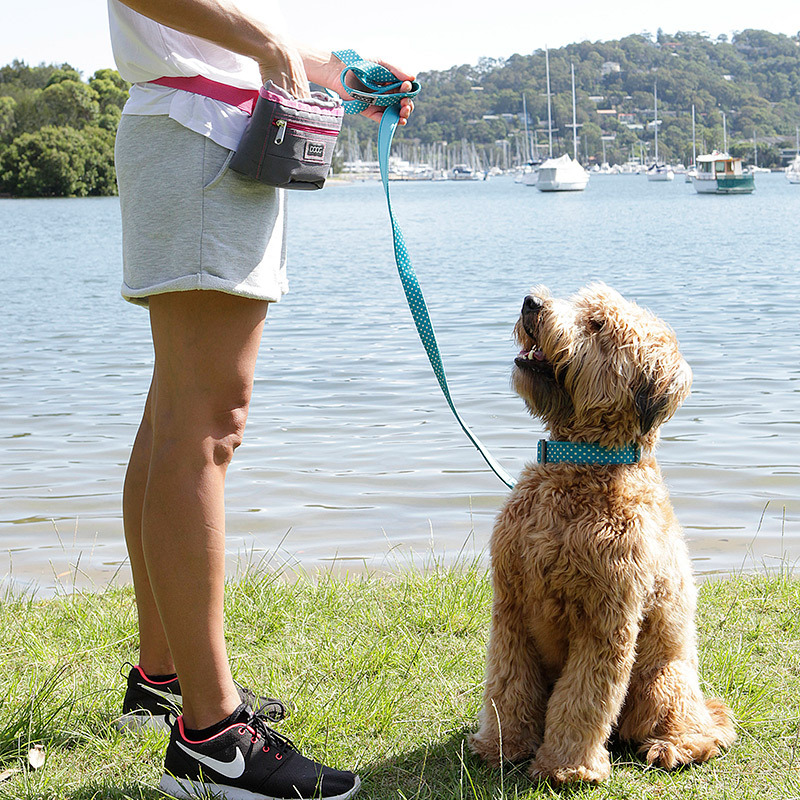 The treat pouch inner is removable and washable, meaning you no longer have to walk around with a stinky treat bag. The pouch is designed to stay open for quick access and can be easily closed by using the velcro closure or string pull. Made from all weather, durable nylon the DOOG Good Dog Treat Pouch also features two inner pockets, one for your poo bags and another for your keys or cash. 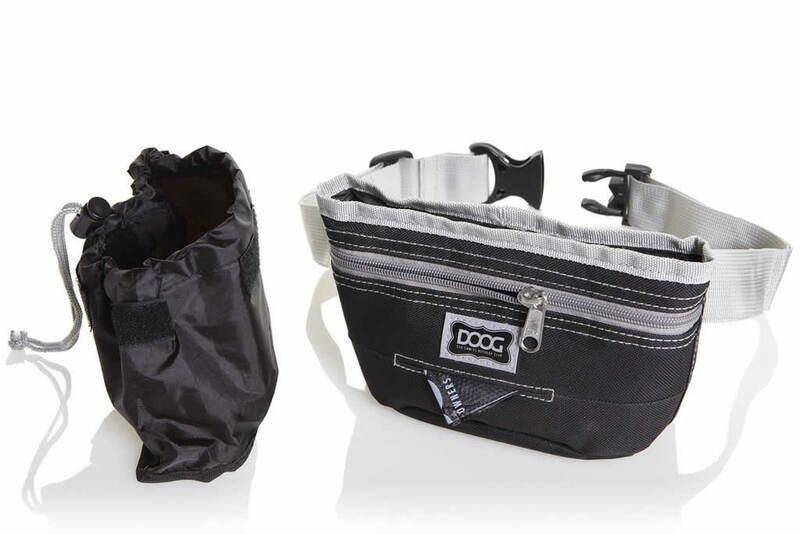 Like all DOOG bags, it comes with 20 free DOOG Tidy Bags all ready to go. 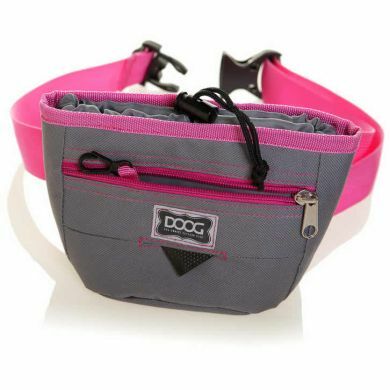 Read 5 customer reviews of DOOG Good Dog Treat Pouch. The average customer rating is 4.6. 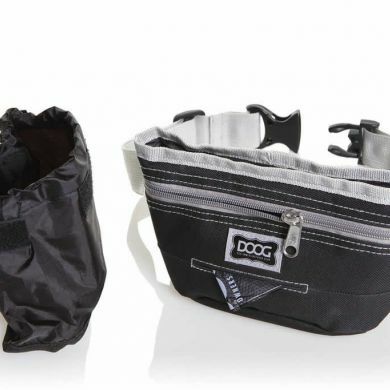 Treat training bag is excellent, great quality! Service from Waggle was awesome also! 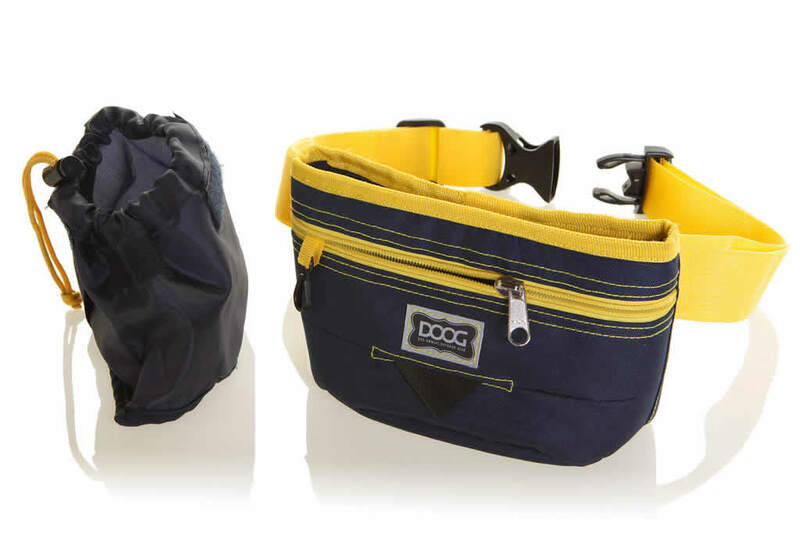 Great sized pouch and we really like the ability to wash the inner lining as our other dog pouches eventually become smelly. 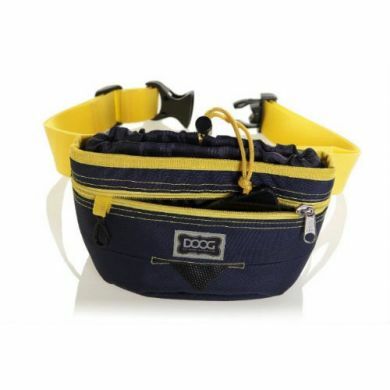 Great for obedience training. 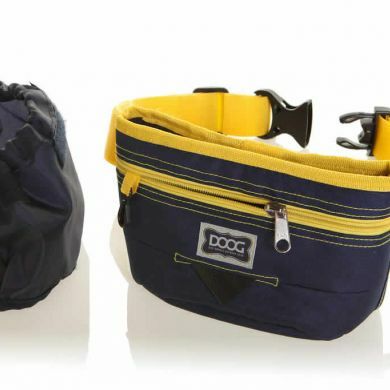 The pouch can easily fit in treats, poo bags and car keys. Best feature is that you can easily wash the inside of the pouch.